Pop! Vinyl Figures are about to get delicious! 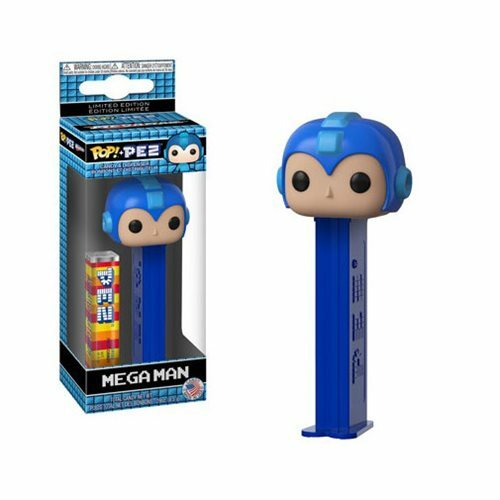 This Mega Man Pop! Pez dispenser measures approximately 5 1/2-inches tall x 1 3/4-inches wide and includes 1x sleeve of Pez candy. Comes packaged in a window display box. Please note: This is a food/perishable item. Please do not return it to Entertainment Earth. Should there be a documented issue of shipping or handling damage to the sealed outer corrugated box packaging or a damaged or defective item sealed inside the box, we can refund the purchase price or ship a replacement (if available), but we cannot accept returns.